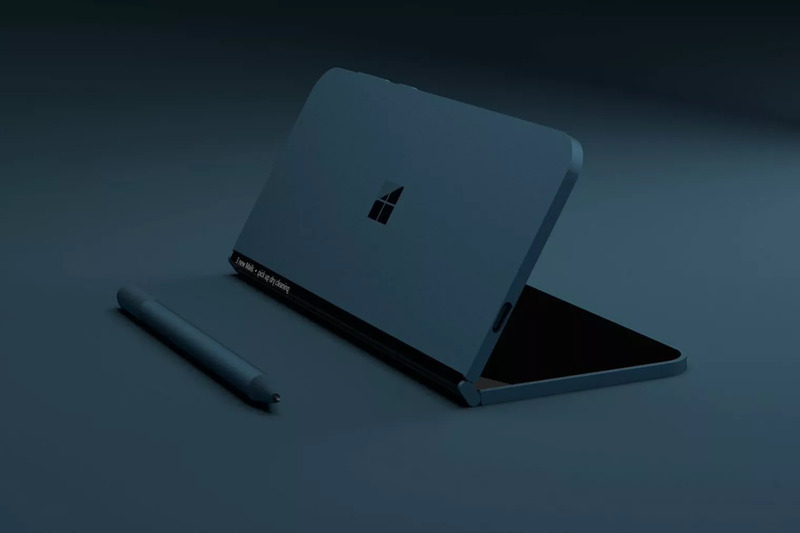 Internal documents obtained by The Verge reveal that the company hopes the disruptive device will pave a new roadmap for the Surface by merging the best parts of the PC and mobile worlds. Andromeda will have a wraparound display that seamlessly covers the gap of the hinge when opened. It will also have stylus input. Renders (see below) created by David Breyers look almost exactly like the current prototype’s, according to The Verge’s sources. ARM processors are being used in some prototypes, but Microsoft might settle with chips from Intel or Qualcomm. Insiders caution that the device might get pulled. Microsoft created a Surface Mini that was weeks away from launch before the company decided not to launch it. The pocketable Surface sounds a lot like the folding smartphones in HBO’s Westworld. Microsoft isn’t the only company exploring the idea though. Samsung is supposedly exploring the idea with eyes on a 2019 launch. Apple is spending its R&D money on the idea too. Recent rumors have claimed Apple plans to launch its folding screen iPhone in 2020.